Could Amazon be making a go at Apple and Samsung in the smartphone sector? According to Israeli financial newspaper Calcalist, it sure looks that way. According to the report, Amazon is in advanced talks with TI, looking to scoop up their chip business at a cost of billions of dollars. Texas Instruments has been quite vocal about wanting to get out of the smartphone market and has scaled back its support after losing most of its market share to Qualcomm and predicting an unattractive long-term opportunity for them in the smartphone market. 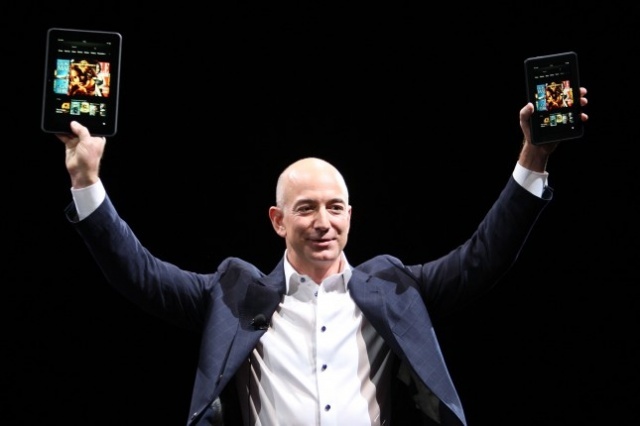 As you may already know, Amazon’s Kindle Fire line of tablets uses TI’s OMAP chips — a spec Jeff Bezos is quite proud of. The Kindle Fire shook up the tablet market with its affordable price and continues to push budget tablet definitions to the max. After the Kindle Fire’s success, many speculated that Amazon would soon be releasing its own smartphone. While no such rumor has come to fruition, a purchase of TI would certainly make that rumor a reality. If Amazon were to purchase TI and start developing their own chips, it would put them in direct competition with current smartphone powerhouses Apple and Samsung. This move would also make it easier for Amazon to continue its crusade of cost cutting measures to get these devices into the hands of consumers who can then start consuming the plethora of digital content offered by Amazon. If Amazon were to enter the smartphone market with a purchase of TI’s chip business, I would predict them to easily take over the 3rd spot in the smartphone market and all but erase any market share Microsoft hoped to gain with Windows Mobile 8. Since TI has already announced that it will be scaling back smartphone support, I’m all for Amazon coming in and breathing new life into the OMAP chipset as well as disrupting the duopoly of the current smartphone market.